OJT.com provides the best occupational opportunities for job seekers and training developers. There are several other good job-related and training-related websites, some government-affiliated, on the internet (O*net, careeronestop). These websites provide an abundance of reference material for those that know what they are looking for. However, you may still be in the process of trying to figure out a career, switching careers, or moving to a different area in search of opportunity. At OJT.com we focus on the occupations with the greatest future opportunity, their locations, and their training providers. At OJT.com, we provide a very focused approach that identifies the largest and fastest growing occupations now and in the future. Our economy is going through a period of significant change, in large part due to the adoption of new technologies, so what is hot now may not be hot in 10 years. As a result, you should target what will be the largest and fastest growing opportunities a few years down the road. This way, by the time you get yourself trained and get a few years of experience under your belt, your greatest value to a company can converge with those occupations in greatest demand. 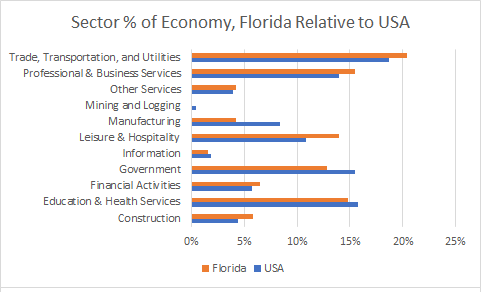 At OJT.com, we show you the states, and industry sectors within those states, with a proportionate part of their workforce that is 2% or more than the country at large. 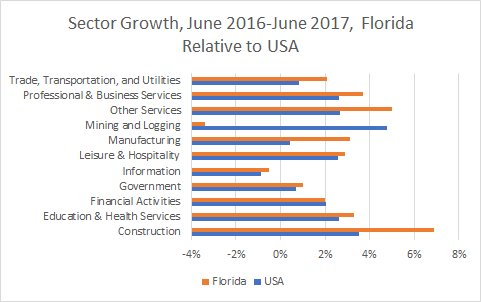 We also show you the states, and industry sectors within those states, that grew their workforce 2% or more than the country at large. 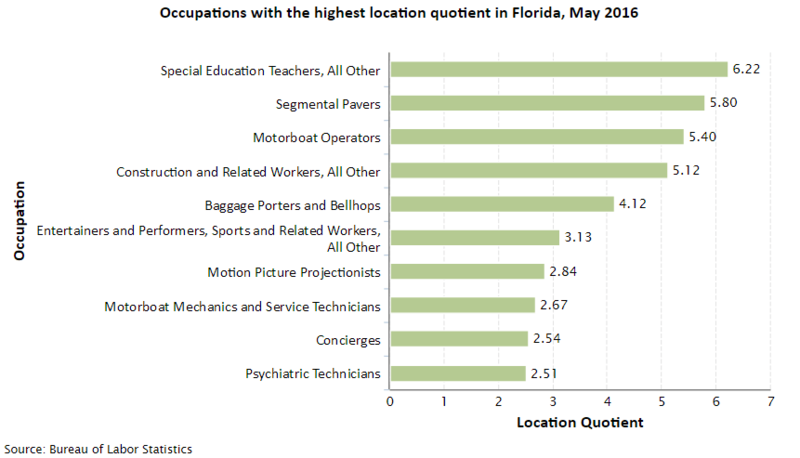 The state pages also identify the 10 occupations with the highest location quotient in the state (relative to the rest of the country, with a quotient of 1 being the national average). At OJT.com, we believe that job mobility will be increasingly important. While moving can be a major endeavor for a lot of personal and financial reasons (selling a house, leaving friends, and so forth), moving for a job in a new industry can mitigate the risks and expense of moving. After all, the best career opportunities exist where the most promising companies in the most promising industries are located. If you are young and have yet to set up deep roots, moving to where the best opportunities make a lot of sense. Also, if your kids have left home, you have less to tie you down to your current location. The industry pages on OJT.com provide a very useful section for those that want to drill further into the industry sectors highlighted in the state pages as well as those that want to change industries to see where the greatest opportunities will be down the road. The industry pages provide details for each of the main 21 industry sectors as well as 107 industry subsectors into which the main 21 industry sectors break down. 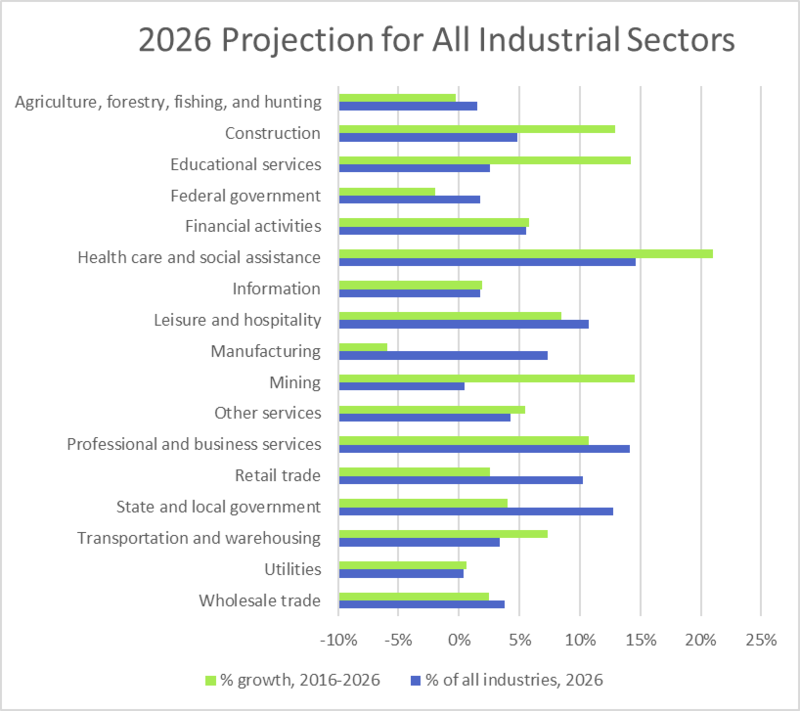 For each of the 21 main industry sectors, we show the projected growth of that sector relative to all the other sectors. 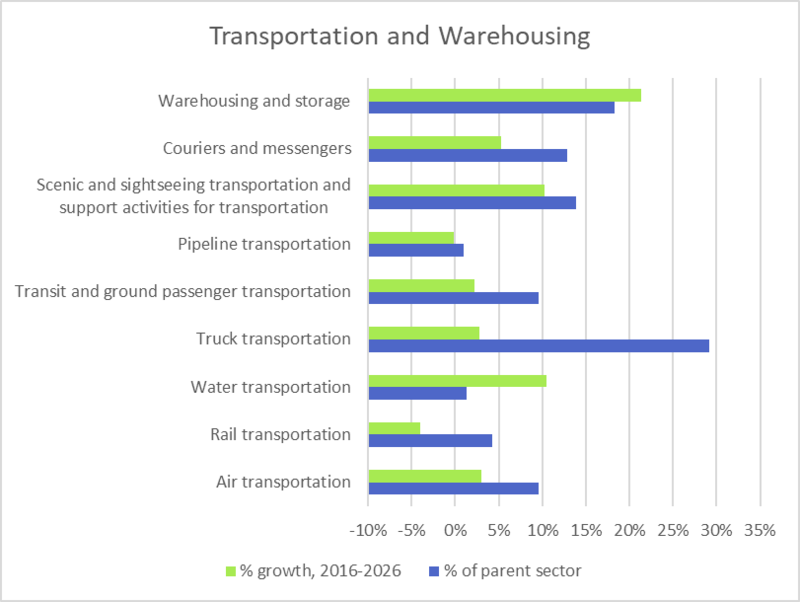 For each of the 107 industry subsectors, we show the projected growth of that subsector relative to all the other subsectors comprising that main industry sector. 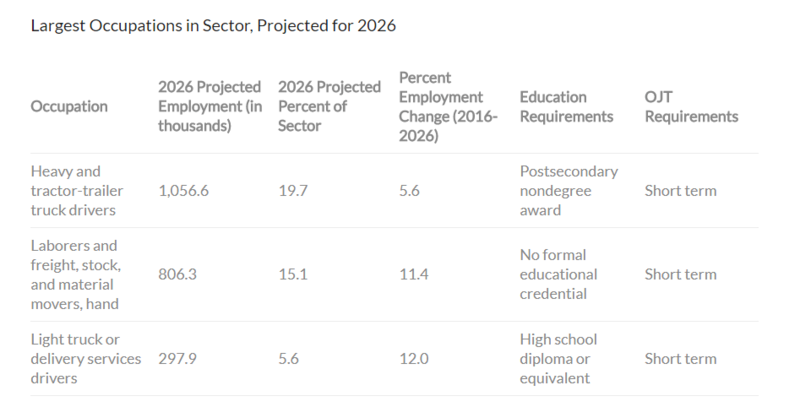 Whether you are targeting your efforts at the general high-level sector or the more specific subsector, OJT.com shows you which area has the most growth and greatest opportunity. For each of the main sectors and subsectors, OJT.com provides the top 10 projected occupations by size and by growth. We also provide the on-the-job training requirements (short term, medium term, long term) for these top 10 occupations. Also provided in a recent blog, we provide a desirability index, based on salary, growth, and job openings for various occupations. 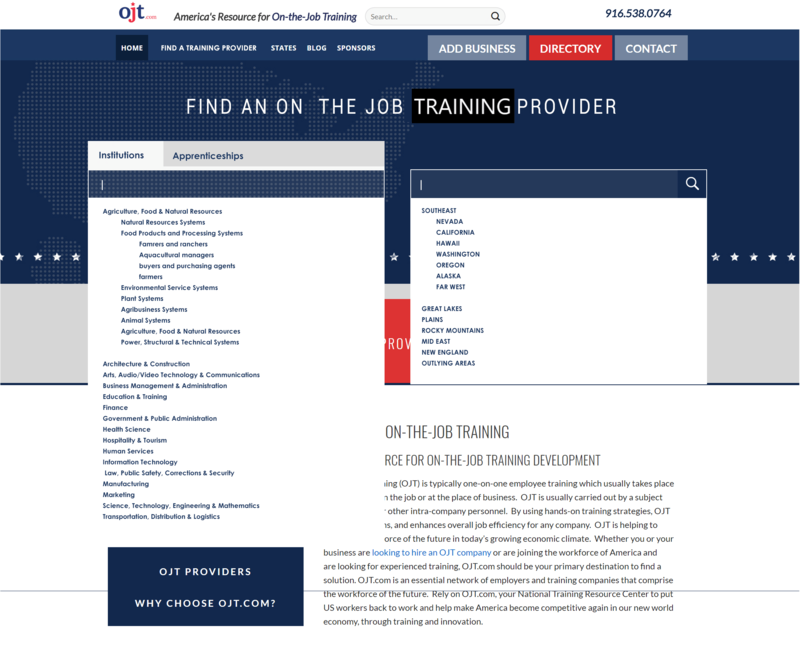 We complete our story on OJT.com by providing a lookup directory for over 7,000 training providers and apprenticeships for over 1,000 occupations, including the ones provided on our state and industry pages. You can use the lookup directory to browse training providers by location (country, state, city) and occupation. Occupations are organized by career cluster, career path, and discrete occupation. We expect the lookup directory to complete late August or early September 2018. All data on our site is derived from publicly available information sources, mostly the Bureau of Labor Statistics, but other government provided information sources are used as well. What makes our presentation unique is that we’ve combined information from multiple sources into one picture that supports a focused use case for job seekers, career planners, and training providers.